Mobile network provider, Globacom has been confirmed to have the highest subscribers base in October. According to data published on the website of telecoms industry regulator, Nigerian Communications Commission (NCC), the number of Internet users on the networks of the four major operators shrunk by 378,015 from 93.5 million in September to 93.1 million in October. The latest report re-confirms Globacom’s position as Nigeria’s leading data provider as it grew its Internet customer base to 27,185,552 in October from 26,887,929 in September. This indicates an increase of 297,623 during the month. 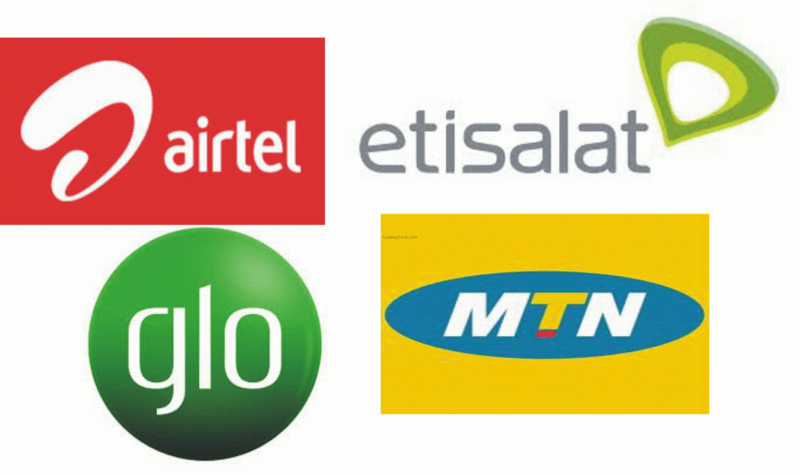 On the other hand, MTN and Etisalat had reductions in customers surfing the net on their network during the period. Airtel did not record any increase as its figures for the two months were the same. The data showed that MTN had 32,464,779 subscribers browsing the Internet on its network in October, which is a decrease of 306,480 Internet subscribers from the September figure of 32,771,259. On its part, Airtel had 18,832,238 Internet users in October, the same figure it recorded in September. Like MTN, Etisalat had 14,693,492 data customers in October, showing a loss of 369,158 compared to the 15,062,650 users it recorded in September. I think Glo has the highest subscribers due to their cheap data plans but come to think of it, with that snail internet speed tho? what did you think also? Share your thoughts via the comment section.